and the smooth running of your projects. French manufacturer based in Alsace, specialist since 1975 in wedging and floor protection solutions. Rolling plates are an ideal covering fortemporary road access. They allow both the protection of vulnerable soils (grass, asphalt, paving stones...) and facilitate access to construction sites on unstable soils (mud, snow, sand...). STABline wedge plates guarantee optimum protection for work on vulnerable or unstable floors. 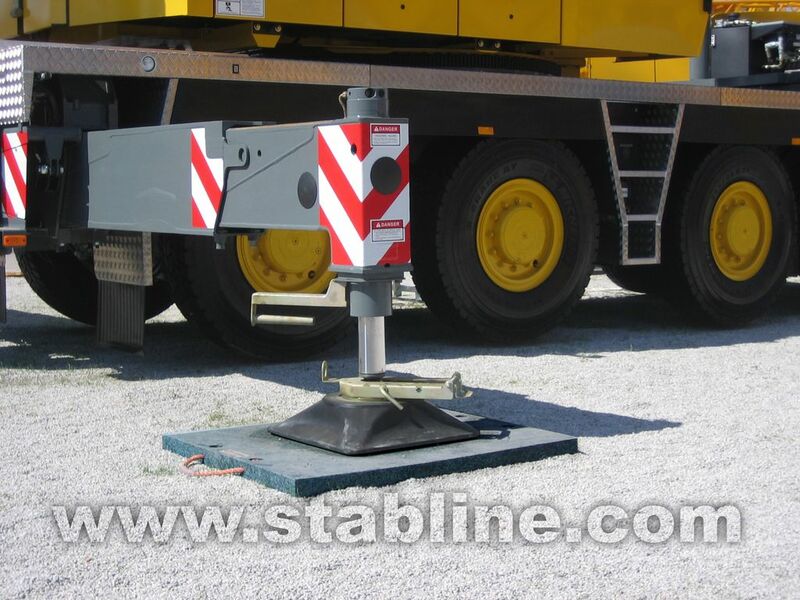 They allow you to realize temporary way or platform of work for the access of all vehicles and all machines by ensuring you the maximum of stability and safety. The outrigger pads come in different sizes and can be stacked thanks to their flexible handles. The anti-slip coating on both sides of the surface of the outrigger allows perfect grip between the pads and the floor. We use our manufacturing skills and know-how to create tailor-made solutions. We study together the feasibility of your project, develop a solution adapted to your needs and design the manufacture of the specific product. You would like to make an order or receive more information about oue products ?